Thank you for visiting Mountain Shepherd Survival School’s website! We know you have options and we appreciate the time you are investing to learn about our school. As you research check credentials and background when evaluating survival schools and their instructors. Just because someone was in the military or grew up in the woods, does not make them a survival instructor. We, of course, stress that the Air Force SERE (Survival – Evasion – Resistance – Escape) instructor training is by far the best in the world. The Air Force spends LOTS of money on their pilots and aircrew members. If a plane goes down, the crew MUST have the skills to Survive in all terrains, biomes and climates. Additionally, they MUST Evade the enemy, Resist torture and exploitation if captured and Escape captivity. To qualify as an instructor, Air Force SERE instructor candidates are put through 6 months of non-stop intense training. Only a small percentage of the candidates graduate the training to earn a place in the SERE career field. Ongoing training continues throughout their career to stay on top of life saving techniques and the latest and greatest gear. 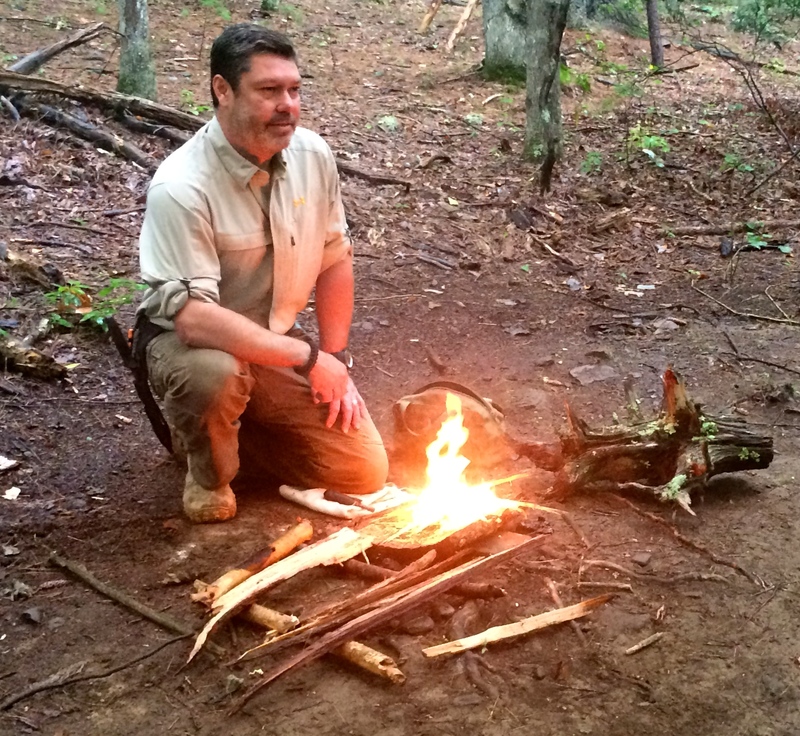 Background and experience is key when evaluating a survival instructor. Find an instructor whose goal is to transfer knowledge not to prove how “badass” they are. Humble instructors create a learning environment. Read more backgrounds of our instructors. In the event of an unforeseen survival situation, the goal is to survive and be rescued in the shortest amount of time. A reputable school will prepare you for the unexpected whether it’s an outdoor adventure gone wrong, stranded in a vehicle or a natural disaster. Practice the skills so that you prevail. The benefit of training is having the knowledge to make good decisions in a survival situation. We hear about stories all the time, some with happy endings and some not. Prepared with a few items a few skills and the ability to make good decisions will drastically and positively change the course of events in a survival situation. When choosing a survival school it is important to determine your goal. Do you want a school that teaches primitive living or modern day survival techniques that will save your life. If primitive learning is the goal, then commit to making those skills a life long hobby. If survival is your goal then choose a school that focuses on real survival skills for real people in real life situations. Find the course that is right for you.